Ask me to name my favorite photographer once or month, or even once a week, and each time you’ll get a different answer. That’s the joy of this new found romance, photography. 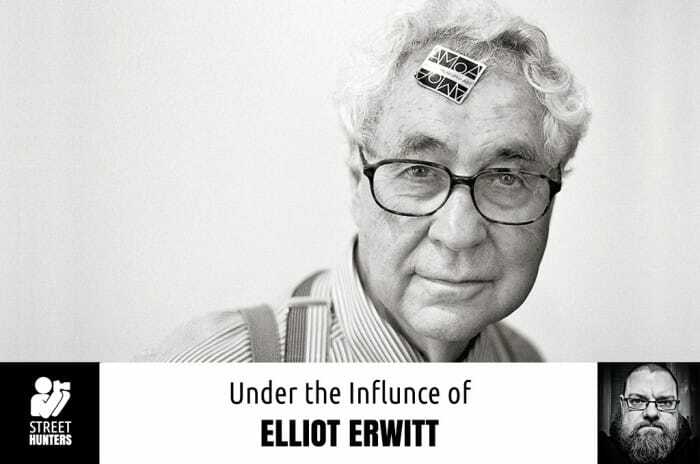 But had I “discovered” Elliot Erwitt first, before all these others I’ve researched, I don’t know if that opening statement would hold true. 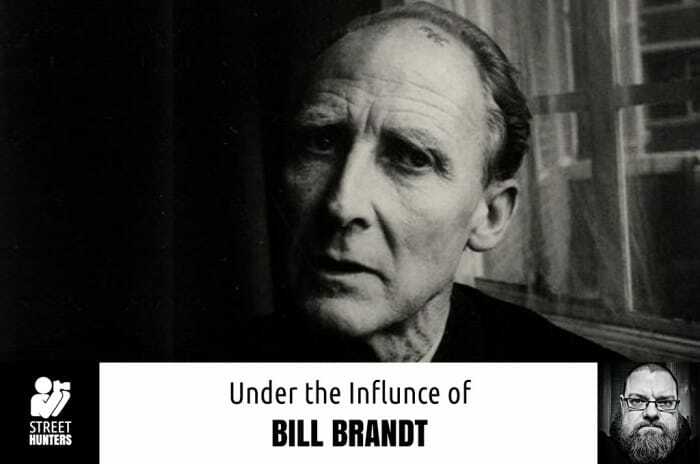 Elliot Erwitt (1928-present), has been a photographic dynamo, and a durable one at that. 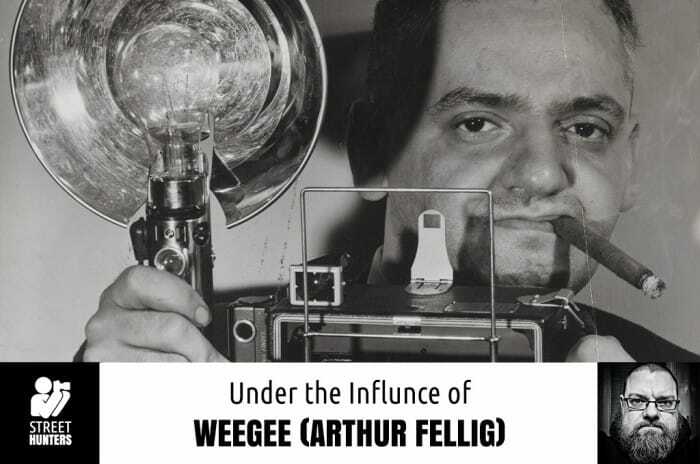 In a career spanning five decades, he has been one of the world’s best and celebrated photographers. Being both a fan of historical images and ones that can deliver wit in a clever way, Erwitt’s work is the latest goldmine that I’ve been digging. And the mine is deep. Fifty-plus years worth of digging will give you that depth. Street Photography, at it’s absolute best, has soul. Timelessness. To catch that soul, that moment, is the goal of any photographer. The formula that makes that moment is complex. It’s a frantic computation of light, time and action. However, it’s one that I often disregard. Instead, I let the world around me dictate what’s going to be shot, doing the math for me. And sometimes, it’s about being invisible, as well. To be the observer. To go unnoticed, even if up to only the very last possible moment. What better way to get that soul? What better way to take what the world around us offers you? 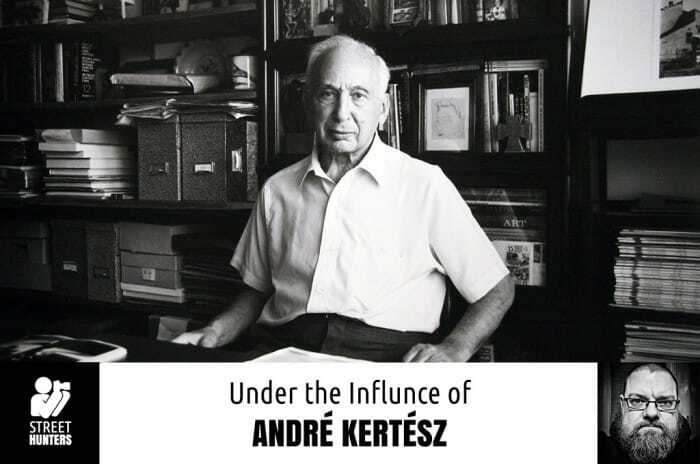 André Kertész mastered this, stealing bits of soul and beauty from the world while rarely interacting with the subjects in his view. He made visual poetry. And, in my opinion, was the foundation on which the advancement of great street photography was built upon. In doing this series of Under The Influence, I’ve been simply amazed by the works of the “masters”. And by “masters” I refer to hallowed names in photography, particularly street photography. Some living, most passed on. While busy poring over these greats and their works, it easy to lose sight of this: there’s masters working right now. Young, vibrant, and destined to be legends as well. Out there, now, on the streets and breaking rules. Blazing a new path. Shaking things up. And these men and women are doing work that simply should not be ignored. One such photographer is Khalik Allah. We here at StreetHunters are passionate admirers of Allah’s work. His work has been featured as one of our photos of the week and, most recently, Khalik participated in one of our Hangouts. For me, his work is beautiful, powerful and, at times, poignant. But that really is an understatement. 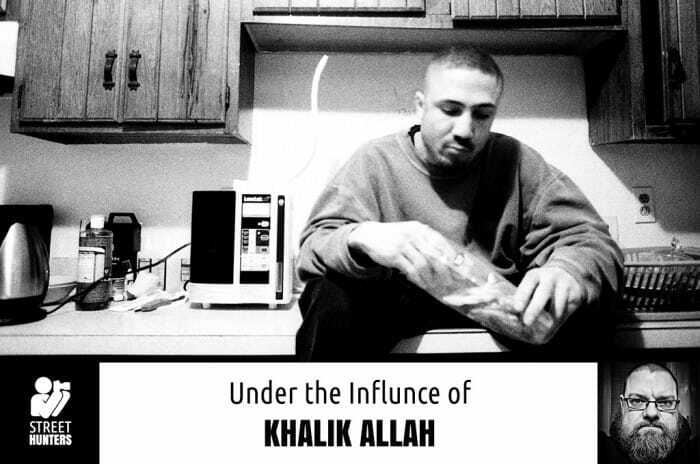 Khalik Allah’s work, for a brief period, made me want to give up photography. Honestly. It’s *that* good. It’s *that* powerful. Now you may think that’s absurd. A naive thought from someone who has no confidence in their ability. To a degree, it is. But there’s something to be taken from such an absurd notion. Something quite valuable. I’ve wrote about a few great photographers who have not received the acclaim and notoriety they richly deserved until late in their lives or after they’ve passed. John Gutmann and Vivian Maier are two examples. Our compassionate nature is quick to view this as a shame. A crime. But, the reality is… it necessarily isn’t. Sure, you can say they were denied or cheated of the riches and the fame that comes with critical and public acclaim. But, on the same note, you must also say they were free of the burdens and trappings of fame. Being popular, being famous, is not for everyone. It is not necessary to them. What’s necessary is satisfying their incredible urge to practice their craft. To be the artist they absolutely need to be. To answer their own calling. 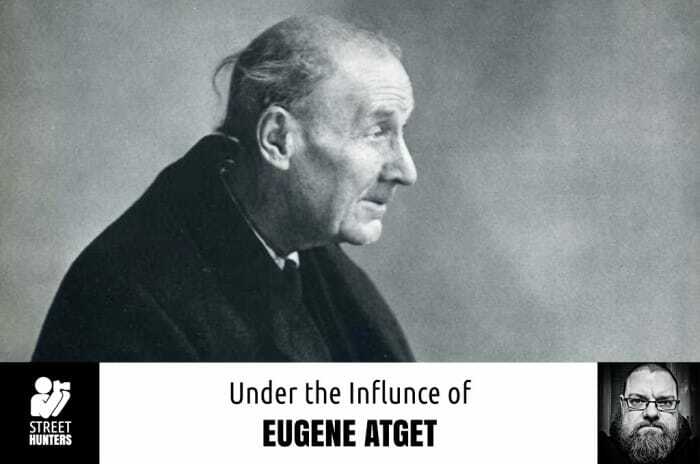 Eugene Atget was such an artist. Atget (1857-1927) left this world with little biographical information, but he did leave us with his stunning images of Old Paris. Atget did not practice photography until the 1890’s. Prior to that he was an actor and in the military, and it’s not really known why he got into photography. It is known he was also an amateur painter. Somewhere around 1890-91 he opened his own studio as a commercial photographer, selling prints to painters, sculptors, engravers and the like. He did landscapes, flowers, monuments and animals. In 1898, Atget changed his focus. It’s been said that we are judged by the company we keep. Certainly there is truth in that. As people, when considering our basic moral fiber, this applies. As far as street photographers go, this applies as well. I’m not saying that a photographer is good because they ran in a certain pack, but this idea definitely holds water in the interest of research and discovery. 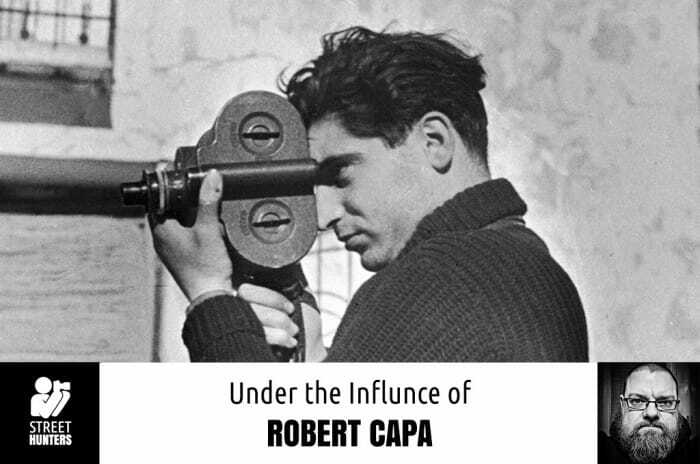 Basically, when looking at the masters of the craft, if a name is mentioned as a contemporary of that great, the odds are… they’re worth checking out. And, it’s a low-risk bet that their work is going to be pretty damn good. For example, look at this crew of contemporaries from the New York City scene in the 1960’s and 70’s: Diane Arbus, Lee Friedlander, Joel Meyerowitz and Garry Winogrand. All greats. Imagine them bouncing ideas off of each other, pushing each other. Great company. Going further back, consider this power trio: Henri Cartier-Bresson, Walker Evans and Helen Levitt. However, these three did not run together, so to speak. 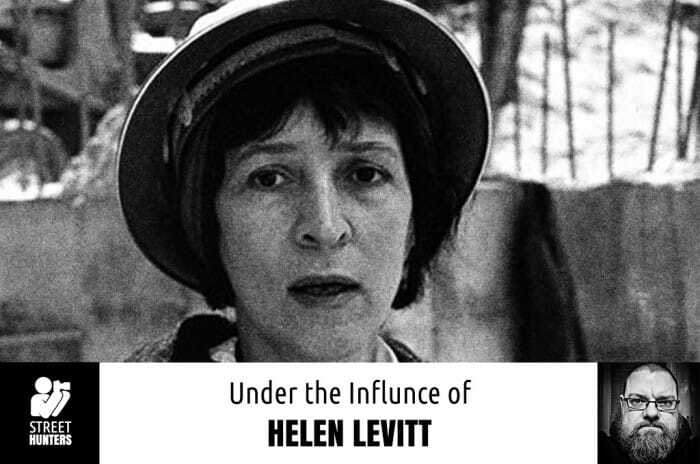 Helen Levitt was friends with both Cartier-Bresson and Evans. 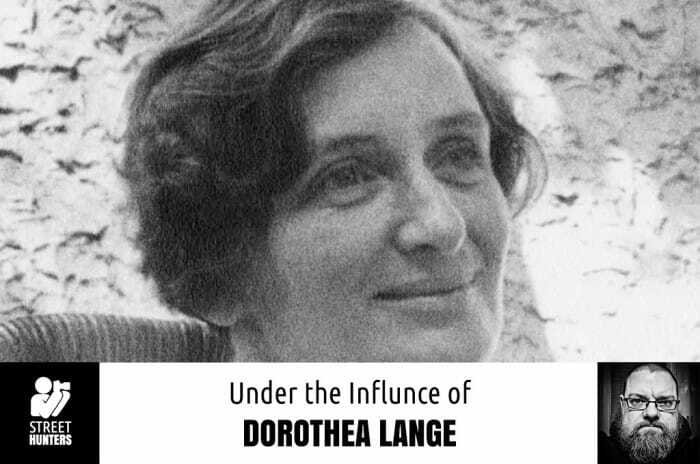 Though her name is not as hallowed as her friends’, Levitt was, without any doubt, a master. And the likely reason she’s not as “famous” was her reluctance to talk about her work, it’s that she shied away from the public eye, generally avoiding interviews. To be an influence is a heavy load. Being one, you must carry the title forever. Well past your years on this earth. It is a reward and a burden, your work standing up against the barrage of up-and-comers breaking new ground. Your name is spoken in reverence, in galleries and cafes. In libraries and schools. But to be an influence, one must not just be strong, but also a rebel. You’ve gone against the grain. Went against convention and became a pioneer at the same time. Perhaps the greatest American rebel, or pioneer, in photography was Walker Evans. And Evans’ shoulders are broad, the load he carries… huge. Last year marked the 75th anniversary of Evans’ legendary exhibition at MoMA and it’s corresponding book, American Photographs. 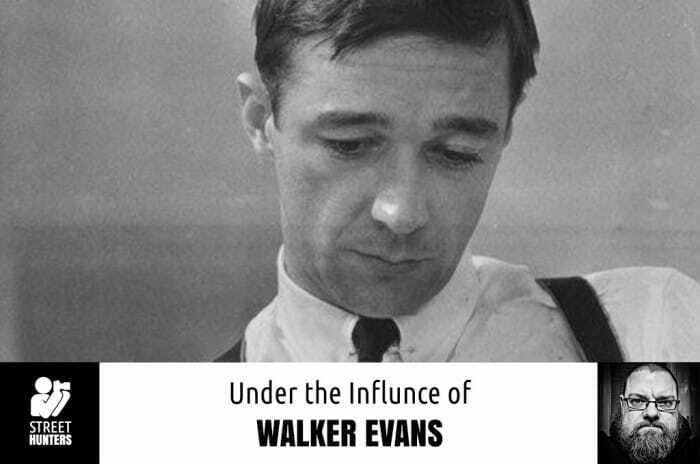 It can be said that no work has had such an impact on American photography as Evans’ did. It was MoMA’s first exhibition devoted to the work of a single photographer. Though by no means universally lauded, Evans’ images of Depression-era America had a seismic effect. It’s rebellious nature, going against any artistic grain that photography had previously employed ,was seismic. It’s shockwaves rippling across the country, then the world and eventually… time itself.